Surgeons Wearing Augmented Reality Glasses Perform Heart Surgery. 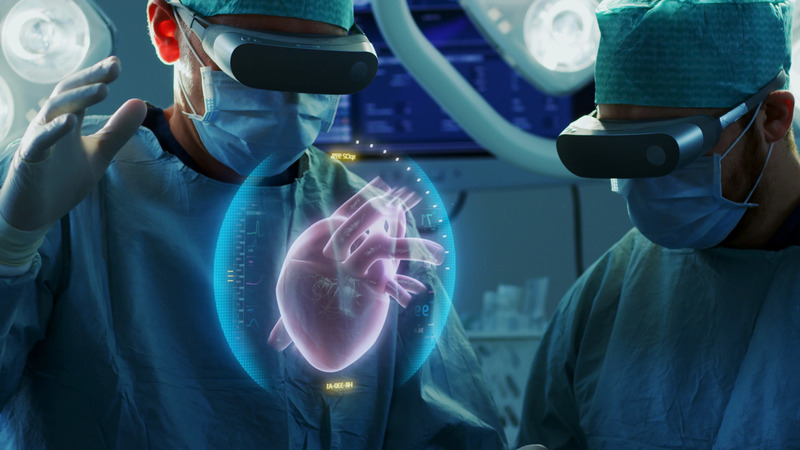 Description: Surgeons Wearing Augmented Reality Glasses Perform Heart Surgery with Help of Animated 3D Heart Model. Doing Difficult Heart Transplant Operation Using Gestures. Interactive Animation Shows Vital Signs. Close-up Shot.Shot on RED EPIC-W 8K Helium Cinema Camera.